With mobile phones being a key part of our daily lives, you would imagine that each of us has downloaded a ringtone that’s unique to our personality, right? Amazingly this couldn’t be further from the truth. Instead, it’s much more likely that most of us have never bothered to change our ringtone from the original factory settings. This means that our ringtone is probably the same as most of our colleagues, family members, and even strangers. In fact, I’m sure that at least once in your life you’ve reached to answer your phone in public, only to realise that it’s not your phone that’s ringing but rather the person’s next to you! This behaviour raises an interesting question. Even though we have the ability to choose any ringtone imaginable, why is it that we generally decide to go with the one picked by the manufacturer? According to various studies, our actions come down to the fact that humans are creatures of comfort and prefer an easy choice instead of exerting the mental energy to make a different one. Whether it’s a ringtone or ‘choosing’ Coca-Cola as the drink accompanying our meal, many of us routinely decide to stick with the default option. In marketing, this behaviour is known as the ‘default bias’. 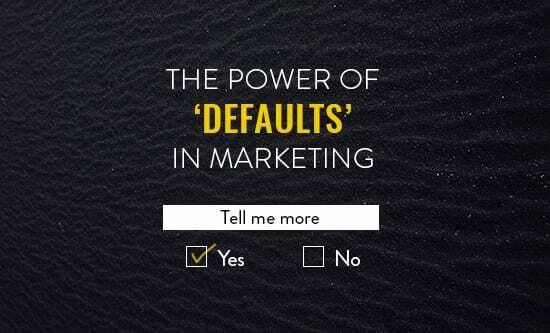 Explained simply, ‘defaults’ refer to how an individual is presented with one or more options. If a person has too many choices available to them (paradox of choice), it’s likely that they will stick with the default option. 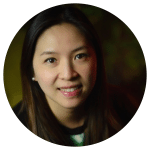 For customers, defaults offer them an easy choice, saving them the hassle of having to critically determine the best choice, and serving as a guide as to what others might be doing. The default bias has been a preferred tool of marketers for quite some time. This is primarily because, if used correctly, defaults have the potential to increase revenue and simultaneously boost customer satisfaction. However, this has to be done strategically, making sure not to irk a customer by appearing sneaky or deceitful. By attempting to manufacture an unethical default setting, you will certainly experience immediate backlash. In addition, customers will feel distrustful and likely distance themselves from your product. An example of such a tactic is when you need to ‘opt-out’ of certain supplementary purchases or marketing communications, instead of the more ethical ‘opt-in’ approach. In today’s increasingly interconnected world, customers can be overwhelmed with choices at almost every turn. To reduce this burden, it’s recommended that marketers utilise the default bias from time to time. When combining the default bias with a trusted product or service, you’ll be able to offer your customer the best option at the best price. This will hopefully set the scene for a long and productive relationship well into the future.